The VA Minimum Property Requirements (VA MPR) exist to establish whether a property has the basic necessities that make it safe for daily living. Your appraiser will examine whether the home can contribute to your overall health when it comes to major issues like clean drinking water and a running septic system. It should be noted that the appraisal that takes a closer look at the VA MPR checklist is quite different than a home inspection. This cursory appraisal is designed solely to help spot large issues with the structure of the home or its major functions. A clean appraisal doesn’t necessarily mean that a more thorough home inspection would be unable to identify key issues with the property. Most lenders will advise that you have both the mandatory VA appraisal and a secondary inspection to ensure that the house is up-to-date and not in need of any major repairs. The VA loan program is highly beneficial for veterans and service members who want to find a great deal on their next home. You can purchase a home without a down payment or private mortgage insurance alongside a low interest rate, as long as your property will meet the VA minimum property requirements. The entire program is designed to make home ownership more affordable to the brave men and women who have already sacrificed a great deal for our country. Following through on their commitment to service, the Department of Veterans Affairs wants to ensure that veterans only purchase homes that are safe and sanitary. What are the VA Minimum Property Requirements? Some home buyers continue to ask whether the appraisal is the same thing as a home inspection. The short answer is no. An appraisal (complete with a look at the VA minimum property requirements) is not the same thing as a home inspection. Understanding what the MPRs are can help you to identify the difference between the appraisal and an inspection. Why do I need to know what the VA MPRs are? Having a thorough grasp on the MPRs can help you to spot problems with potential homes during your initial walkthrough or showing. You may be able to determine immediately that a home has a major issue that will disqualify it for VA financing. For example, you might spot a problem with pests or it may not have any heating. You can avoid dragging out the home buying process by eliminating properties that you know won’t pass this short appraisal for determining the safety and sanitation of a property. You might be surprised to find out how easy it is for a potential property to qualify for these VA minimum property requirements. It all starts with making sure that the home is only zoned as a residential property and that it has adequate space for you to live in. VA loans cannot be used for commercial or industrial properties. Clean drinking water is a must-have for any home, particularly if you want to use a VA loan. Well water will need to be tested to ensure that is free from harmful bacteria and is safe for human consumption. This may result in a greater turnaround time for your VA appraisal than public water which can typically skip this testing. The plumbing and sewage systems within the home must be in working order. If there is a septic system on the property instead of city sewer systems, the appraiser will need to ensure that it is in working order and can be accessed by the local health authorities. All homes are required to have heat in order to qualify as a safe living environment, no matter where it happens to be located. Identifying a running furnace that can heat the house in the winter is essential to meeting the VA minimum property requirements, even if you don’t intend to ever use it. Your appraiser will make sure that there are no obvious signs of defective construction on the property. They may look for major cracks in the foundation of a home or rotten wood in the crawl space. Any signs that a current or future repair will be needed to the foundation may disqualify the house from receiving financing with a VA home loan. They may also search for water damage and proper ventilation. You should be able to enter and exit the home without trespassing on the private property of another person. A permanent driveway or easement must be well-established. A shared driveway may require a written contract between the two owners to outline details pertaining to the responsibility of each party. The VA appraiser will perform a thorough termite inspection to ensure that the home is currently free of pests. They will also make sure that it has no previous damage from an infestation of termites in the wood where major repairs might be required. A termite inspection is required for homes that are considered to be in an area prone to moderate or heavy risk of a termite infestation. The roof should be in good shape with no leaks or causes for immediate concern. Your roof is going to be integral to the stability and safety of your entire home, so you want to ensure that it isn’t currently in a state of disrepair. 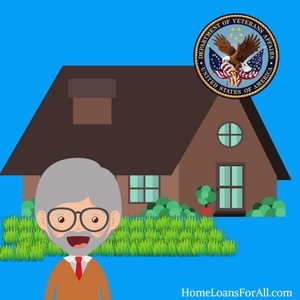 The VA loan appraisal process is designed to help identify any major issues related to the health and safety of a veteran who will be living in the home. If VA inspectors see any issues that could pose a threat to these two attributes, the home will be flagged until the issues can be resolved by the seller or at the expense of the buyer. Issues that may cause some concern for safety could include things like exposed wires, leaking pipes, or a mold infestation. Your appraiser may also check the home for lead paint if it was constructed prior to 1978. Some of these VA minimum property requirements may be construed as subjective because the extent of the concern will vary based on the appraiser’s opinion. Many of the standards are left open for some interpretation of what constitutes an actual threat to the safety and sanitation of a home. The appraiser does have a lot of freedom to determine some of the less specific requirements listed in the MPRs found in the VA Lender’s Handbook. For example, they can determine whether the railing is at an adequate height to be safely used by a veteran. An inspection will have a much more thorough report for you to look at the encompasses more than the bare minimum in terms of safety and health standards found in the VA MPRs. Keep in mind that the VA minimum property requirements are not designed to make financing a hassle for veterans who want to purchase a home. 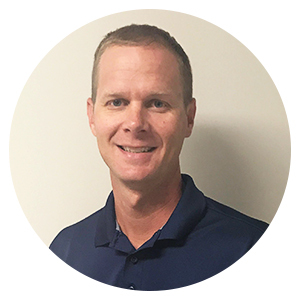 VA MPRs are designed to prevent a veteran from becoming tied down to a property that is going to be expensive to purchase and to maintain long-term. This appraisal is designed to help buyers make wise decisions and investments when it comes to real estate decisions by giving them an objective third-party opinion of the basic requirements for a property. VA loans can be extremely beneficial for veterans and service members who qualify. 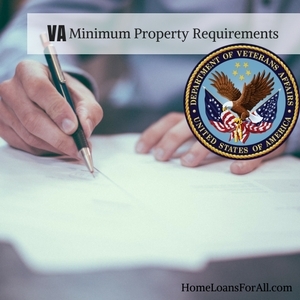 These minimum property requirements or MPRs are key examples of ways that the Department of Veterans Affairs is looking out for the men and women who serve our nation. In addition to waiving the down payment requirement and the need for private mortgage insurance, every home is guaranteed to be both safe and sanitary for the foreseeable future. MPR stands for the VA minimum property requirements which are the standards that all homes must meet in order to qualify for a VA home loan. They pertain to the safety and sanitation of the home. Do I still need to get a property inspection? While the appraisal does take a look at the overall safety and sanitation of the home, it is not a substitute for a home inspection. You should still hire a professional home inspector to take a more thorough look at the condition of the home prior to making a purchase. What are the VA loan handrail requirements? The VA Lender’s Handbook doesn’t give specific details regarding the height of the handrails in a home. They should be sturdy and secured, but the height is up to the appraiser’s discretion to ensure that it is reasonably high enough to be safe for daily use. Does the VA require a termite inspection? Termite inspections are required on homes that are located in areas with a moderate to heavy risk of termite infestation. Your appraiser will look for signs of both an active infestation and a previous infestation in the home and structural woodwork of the home. We Specialize in VA Home Mortgage Approvals – Get Pre Qualified today – Click Here.